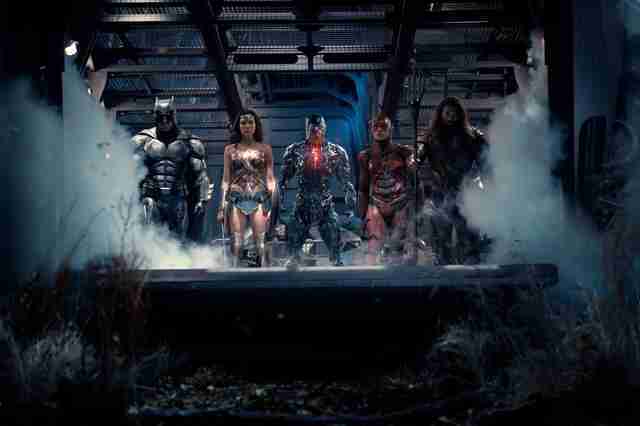 This post contains spoilers for Justice League and the other DC Universe films. The new Justice League movie doesn't work. Despite Warner Bros. and DC Films' highly publicized efforts to inject some Marvel-like levity into the franchise following the critical drubbing of the relentlessly grim Batman V. Superman: Dawn of Justice, the latest entry in the DC Extended Universe is an underwhelming mix of drab action, hurried exposition, and tepid one-liners. Besides a game performance from Henry Cavill as the returning Superman and a handful of diverting moments with Gal Gadot's Wonder Woman, the movie has only one other truly great thing going for it: A hilariously bad superhero villain named Steppenwolf. How awful is Steppenwolf? He's Mr. Freeze level bad -- only without Arnold Schwarzenegger's vast collection of puns. Instead of wordplay, the horn-headed god from Justice League is blessed with a single motivation, which he repeats over the course of the movie's two-hour runtime: He's searching for an object he affectionately calls the "mother box," a cube that can be weaponized into an apocalyptic super-computer. There are three mother boxes on Earth, in fact. I know this because Steppenwolf never stops saying "mother box." The fun doesn't stop there. Sometimes, Steppenwolf talks to "mother" directly -- not to be confused with mother! -- and his maternal invocations will probably remind you of Vice President Mike Pence, who famously refers to his wife Karen as "mother." "You are a distraction," Steppenwolf says at one point in the movie to one of our heroes. "Mother is calling." Yikes. 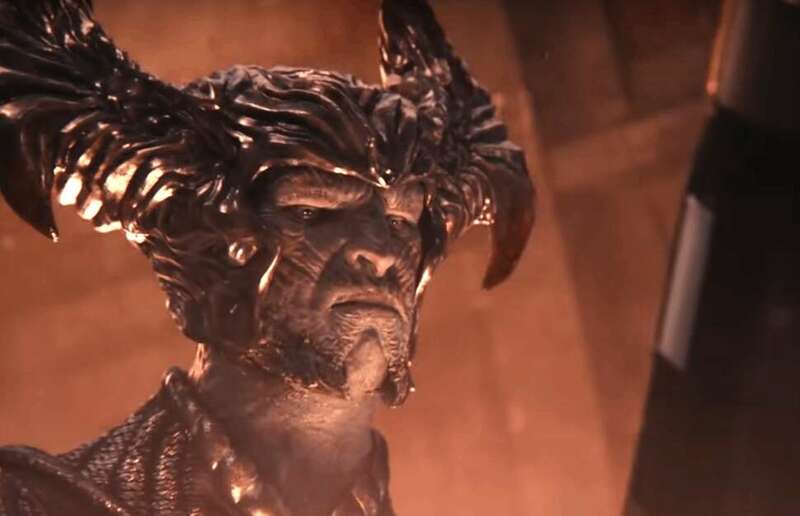 To please the gods and mother herself, we've gone ahead and dug into Steppenwolf's backstory -- and why he's such a disappointment in Justice League. Who is Steppenwolf in the comics? It's strange that a character this weird ended up in a big budget tentpole blockbuster. As io9 points out in a helpful primer, Steppenwolf has his mythical origins in the pages of comics legend Jack Kirby's Fourth World, a universe filled with new gods that the creator dreamed up after switching from Marvel to DC in the early 1970s. In the wake of the move, Kirby began some of his most imaginative, complex, and innovative work. Unfortunately, those boundary-breaking titles never quite connected with audiences, and his ambitious inter-connected series were cancelled. By 1976, he was back at Marvel. But his creations lived on. The villain Darkseid, who was introduced by Kirby in the pages of Superman's Pal Jimmy Olsen, went on to become a super villain who has popped up in multiple DC comics, cartoon series, and even on the live-action series Smallville. While many fans assumed Darkseid would be the primary villain in the Justice League's movie, after a deleted scene from Batman V. Superman hinted at his arrival to Earth, the main villain responsibilities were passed on to his uncle Steppenwolf. That's how second-rate Justice League feels: Even the villain is a relative called in because the actual Big Bad is too busy. Why is Steppenwolf so bad in Justice League? That lack of a human connection bleeds into the final product. Unlike Loki in the first Avengers movie or even Lex Luthor in Batman V Superman, there's no recognizable psychology motivating Steppenwolf beyond the most generic and ill-defined yearning for destruction. He wants to get the mother boxes; our heroes want to stop him from getting the mother boxes; when he gets the mother boxes, he smashes them together; our heroes get angry. It's that simple. The stupidity of it all isn't the real problem -- most of the movies in the Marvel Cinematic Universe are structured around similarly mindless plots -- it's that there's no attempt to do something original, challenging, or even mildly interesting with the character. He feels like a villain lifted from the maze on the back of a cereal box. And I'm not the only hater making this point. Judging from his recent, controversial Twitter activity, the movie's co-writer Joss Whedon, who was brought on to pen additional material and oversee costly reshoots on the film when Snyder had to leave the production because of a family tragedy, also thinks Steppenwolf isn't up to snuff. Whedon's film and television work, which includes both Avengers movies along with the classic teen series Buffy the Vampire Slayer, are filled with witty, multi-layered villains. While some parts of the finished Justice League reflect Whedon's tinkering, the Steppenwolf character bares almost no resemblance to any of his famous Big Bad's. He's the type of villain Sarah Michelle Gellar would dispatch in the opening of an episode. This is the hard question: Is Steppenwolf the worst villain in a modern superhero movie? At the very least, he's tied with the Enchantress from Suicide Squad and Peter Sarsgaard's bad guy in The Green Lantern. Besides the band Steppenwolf, the one group that perhaps benefits the most from the lameness of Steppenwolf is the people who thought Jesse Eisenberg's tech bro take on Lex Luthor wasn't annoying. Fittingly, Justice League teases a return for his bald-headed mastermind in the post-credits scene, along with another noteworthy villain, suggesting that Steppenwolf's reign of terror has likely come to end. Sorry, mother.